No one will ever understand your business – its heart, its mission, the work and emotion that feeds it – the way you do. But part of building a successful business is finding a way to communicate your vision in a way that is as clear and compelling as possible to customers, clients and potential investors alike. We understand the need to communicate; after all, at Wise, we’ve built a business on our commitment to helping clients share their company’s strengths with clarity and integrity. As part of that on-going commitment, one of the many support services we offer, in addition to business plans writing services, is the creation of fully customized business plan PowerPoint presentations for any and all business purposes. Wise Business PowerPoint Presentations can be custom written and designed to match the look and feel of your full business plan or for any business purpose you can imagine. our cleanly designed, easy-to-follow presentations allow you to highlight vital information, showcase images of your products or services and keep viewers interested and engaged. Your presentation will include the high-quality research, compelling visuals and thought-provoking facts clients have come to expect from Wise in an elegant, easy-to-present format. Looking for a different kind of presentation? 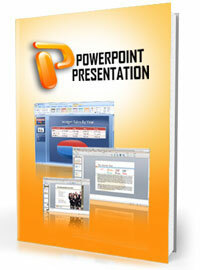 Contact us today with all your presentation needs, and let us craft a business plan PPT that exceeds your expectations.